World’s largest mining company BHP (ASX, NYSE:BHP) is providing its Brazilian iron ore joint-venture with Vale with up to $250 million aimed at financial supporting the miner as well as backing remediation and compensation programs in the wake of the deadly dam disaster of 2015. More than half the funds — $174 million to be exact — will be used to back the Renova Foundation, which would be offset against the provision for the Samarco dam collapse, considered the worst environmental disaster in Brazil's history. BHP also said that a Brazilian court had granted it and its partner Vale a four-month extension to negotiate a settlement to a $47.5 billion claim stemming from the 2015 mine disaster. A short-term facility of up to $76 million will also be available to the iron ore venture, BHP said in a statement. The Melbourne, Australia-based mining giant also announced it has won a four-month extension from a Brazilian court to negotiate a settlement to a $47.5 billion claim to pay for the social, environmental and economic costs of cleaning up. The settlement date was originally set for today, but BHP and Vale now have until October 30 to deal with the claim. BHP reiterated that Samarco was “unlikely” to restart this year, as it needs fresh government approvals and a restructuring of its $3 billion debt. At 30 million tonnes per year before the disaster Samarco's pelletizing operations supplied roughly one-fifth of the seaborne trade in the steelmaking raw material that attracts a premium price over iron ore fines and lump ore. The uncertain timing of a new environmental licence to restart operations had forced the company to move to lay off over 1,000 workers last year. Samarco is also in debt restructuring talks with its bankers concerning its outstanding loans. In March last year, Vale and BHP reached a deal with Brazilian authorities and the mine owners agreeing to pay an estimated 24 billion reais or $6.2 billion spread out over several years. 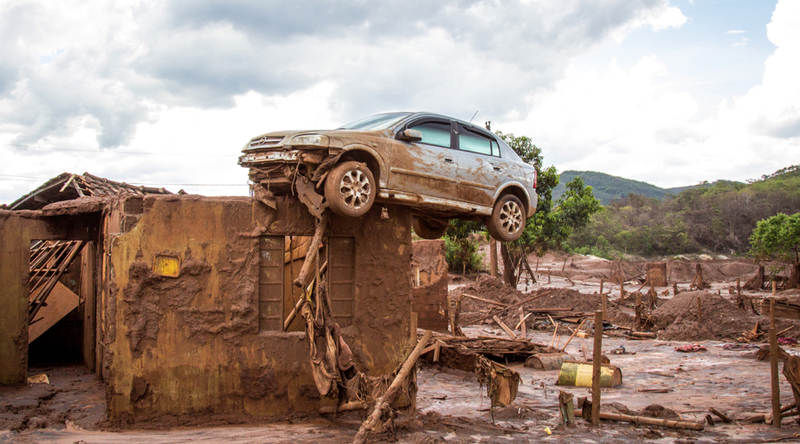 The disaster in Brazil’s Minas Gerais state that killed 19 people caused sludge to wash downstream into neighbouring state Espírito Santo through remote mountain valleys reaching the Atlantic ocean 600 kilometres away. Rio de Janeiro-based Vale is the world's number one producer of the steelmaking raw material and BHP comes in at number three behind fellow Australian miner Rio Tinto. Ore with 62% content in Qingdao added 24 cents Friday reaching $64.95 per tonne, according to the Metal Bulletin. The price of the steelmaking raw material is now up more than 18% from year lows it hit two weeks ago.